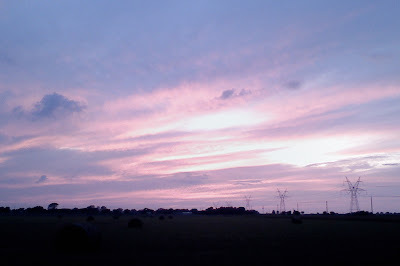 I was driving home from the feed store tonight enjoying the cool breeze and the sunshine through the open windows. This glorious weather refreshed me clear down to my bones. After all the challenges we've had in the past couple of months with rain and mud and cold and mud and rain, this bathed over me like a balm. We've entertained lots of farm visitors lately, thanks to the stepped up publicity and the nice weather. Most of the families have brought young kids to see the farm and get a little closer to the origin of things. They enjoy the chickens and sheep and alpacas quite a bit. Sometimes a chicken will let me pick her up to be petted. My new friend Nick (above) really had fun looking for rolly pollies under the rocks. The spring weather helps us breathe in deep, and fill our lungs with warm fresh air. It feels so good to be outside. Ted's new tomatoes will be outside soon. We try to get an early start with the tomatoes, to beat the summer scald which seems to come earlier and earlier each year. Adding to my spring giddiness, our friend Kim sent me an updated picture of our little black lamb, Titus today. Titus will come up to Jacob's Reward Farm sometime during the first week of May, with his white Gulf Coast buddies, Isaiah and Nathan, to become part of our fiber flock. I lingered over my chores this evening. With the time change, there are more sunlit hours in the evening and the chickens aren't in any hurry to turn in. While I was waiting for them to dawdle back to their coops, I got a call from our new friend Brenda, who visited the farm today with her two little ones. They wanted to tell me how much they enjoyed the eggs they got, and how excited they are to have a farm where they can come visit the chickens. That kind of call makes all the mud worthwhile. Maybe we'll have more rainy spells before spring is over. But for now, I'm enjoying each heavenly day as it comes. I love your sky pics! I need to take some here! We had rain tonight and it went dark at record speed! beautiful sky! However, I am coveting that cement bunny rabbit in the Nick photo! AND your tomatoes are ahead of mine! My first 2 pots have teeny sprouts today!